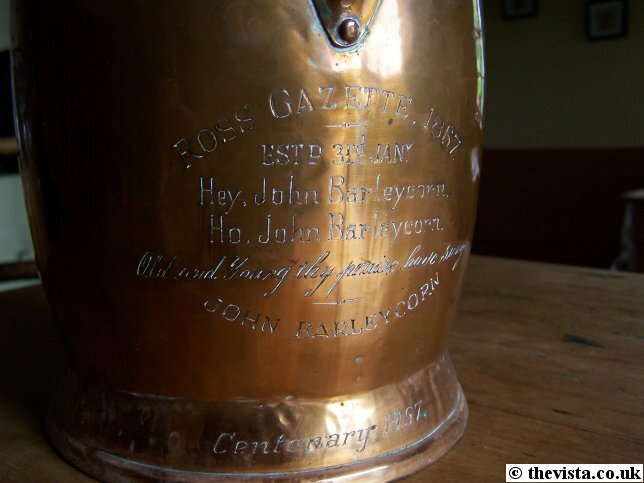 The "Ross Gazette" was first published at 7 pm on Wednesday 2nd January 1867 and dated the next day. It was four pages, very similar to the modern Gazette, and cost 1 penny. The initial print run was one hundred copies a week, which was raised to 1500 a fortnight later. 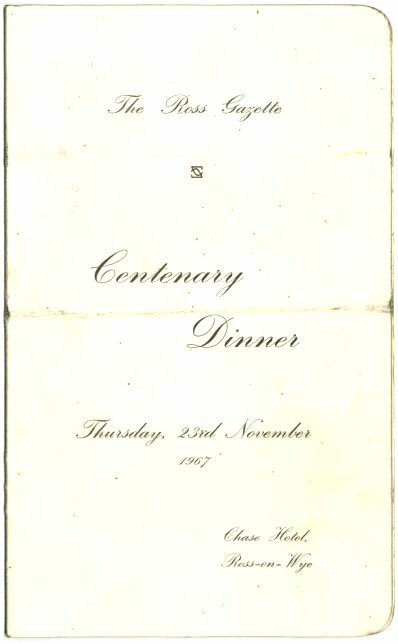 It consisted of the front and back pages covering local stories and showing local adverts whilst the inner pages held stories from across the country. This was before newspapers had a wide circulation so this was the only way most people in the area were able to get news from other parts of the country or world. In the October following its startup, it absorbed the "The Newent and Micheldean Chronicle" thus increasing its circulation and the breadth of news they could report. Further to this, in 1875 it absorbed the "Man of Ross" thus removing another one of its local "rivals". The Ross Gazette brought out various special editions to cover such things as general elections, the outbreak of war in 1914 with hourly updates for the worried people filling the Market Place, the General Strike of 1926 (which caused most other papers to cease printing but the Ross Gazette was unaffected so news reporting was unaffected) and the Ross Gazette staff worked day and night to produce a paper 12 hours after the visit of the Queen and Duke of Edinburgh in April 1957. 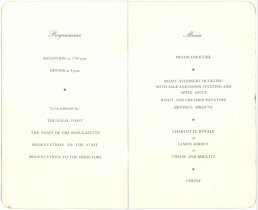 When staff joined the Gazette team it really was a "job for life" and it was not uncommon to put in 50 years service for the company as is shown below. The Gazette was founded by William Enoch Hill (aged 33) who was the son of James and Eliza Hill. James and Eliza Hill were the master and mistress of the Walter Scott School in Old Gloucester Road. Mr. William Hill appointed Mr. John Arthur Stratford as the editor. Mr. Stratford was a Londoner who had previously been working on the editorial staff of a paper in Hereford. Unfortunately in 1891, Mr. William Enoch Hill died aged 58 so the management was taken over by by his sister, Miss Sarah Maria Hill until she retired in 1897. She then lived in Church Street until she died on Boxing Day 1921 at the age of 93. 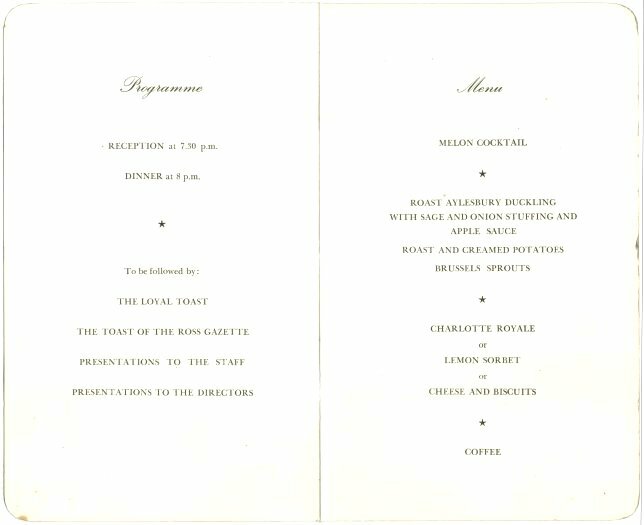 After her retirement, Mr. Stratford and Mr. James George Trotter, who was the printing foreman, became the joint proprietors. 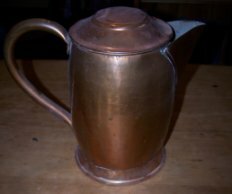 Mr. Stratford died, aged 72, in 1908 leaving Mr Trotter to carry on alone until 1909 when Mr. G. M. Morton took over the business. 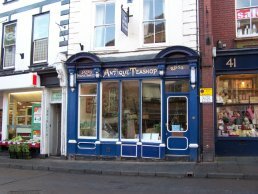 He was prominent in the town and was instrumental in setting up the Ross Traders Association which was the predecessor to the Chamber of Commerce. Then in 1919, Mr. Jefferies became the editor when Mr. Morton moved away from Ross. Mr Jefferies was a well known face around the town and he was a tenor chorister at St. Mary's and a keen member of the Operatic Society. He continued as editor until just before he died in 1943. Mr. S. T. Dazeley then became editor from 1943 until 1948 when he retired after 50 years service, but he continued to make frequent contributions until he died in 1955. Mr. A. G. Hicks was manager from 1943 and editor from 1948 until 1966 when he died after 56 years service. Mr. Morton then died in 1952 after being chairman for 43 years and his son, Mr. G. D. Morton, then took his place. Mr. George Capewell was a foreman until 1925 when he retired after 49 years service to the Ross Gazette and he was succeeded by Mr. J. S. Edwards who retired in 1938 after 37 years service but he returned to help out during the Second World War (WWII) and this continued until his death in 1948. 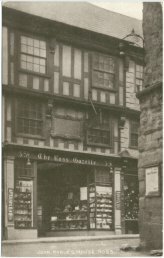 Mr grandfather, Alfred Victor Clarke (born 1900), joined the company in 1915, aged 14, doing general work within the company and one of his first tasks was to help the Gazette move premises to Kyrle House. He then worked for them for the next 50 years where he worked the Linotype machine and was the foreman of the printing department. He retired in 1965 after 50 years service and continues to work part time and finally broke the connection to the paper in the first week of February in 1975 after doing 60 years service. The Gazette had many employees who worked for them for 50 years but my grandfathers 60 years was a record breaker which I think still stands. His education started in the Blue Coat School in Old Gloucester Road and he finished there four months after the outbreak of the First World War. Then, a few weeks later, in January 1915, he joined the paper as a "printers's devil" which is basically the 'odd job boy'. As the war progressed so the men from the town went off to the trenches and his responsibilities increased correspondingly as staff left. He was soon tending the printing machine, hand feeding each sheet of paper into the machine to be printed, a tedious job. At this time they were working a 52 hour week so he had a chance to operate and master nearly every piece of equipment used in the process. 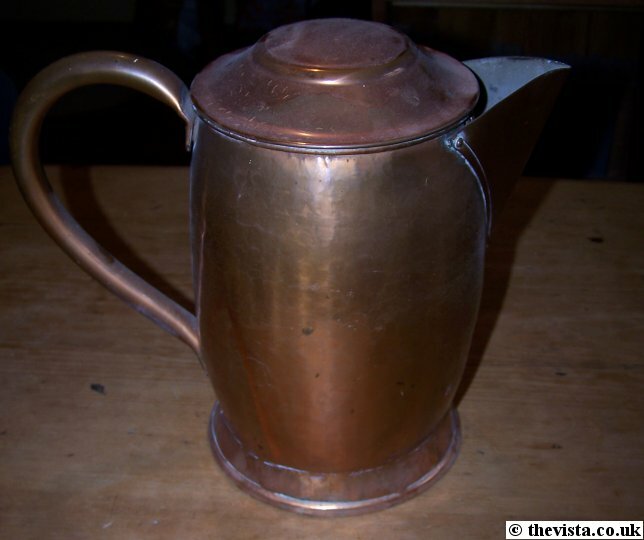 "Mr. Clarke was a venerable figure when The Ross Gazette celebrated its centenary 1967. He had already been a member of the staff for more than 50 years of those 100 years. Since then he has continued to serve on a part-time basis. He has been a member of staff for most of the time that the Gazette has been in its present ownership.
" The directors wish to thank him publicly for his work in insuring that the Gazette was able to reach its readers over so many years. They are very pleased that he has seen fit to spend such a long working life in employment on this newspaper. They wish to him and Mrs. Clarke every happiness in a long-deferred and well earned retirement. My grandfather was also the chairman of the local branch of the National Deposit Friendly Society. 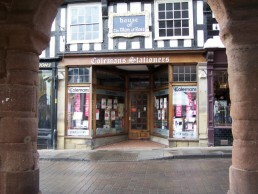 During 2005, the editor was Mrs Christine Roberts and the senior ad manager was Lee Whiteland who, in November 2005, was the general manager and ad manager whilst the news editor was Chris Robertson. 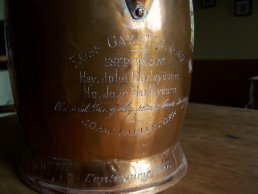 In 1967 they had a centenary celebration and each member of staff was invited to a celebration dinner at the Chase Hotel, on Thursday 23rd November 1967 and presented with a replica jug of the one that was used as part of a tradition to celebrate the 'putting to bed' the print run from when the type was hand set. The "Reliance" was the first printing machine to be brought to Ross in 1867 and was initially hand cranked before it was upgraded to be powered successively by steam, gas and finally electricity. For nearly 50 years the type was set by hand with work carrying on late into the night. This continued until a Linotype machine was installed in around 1900. 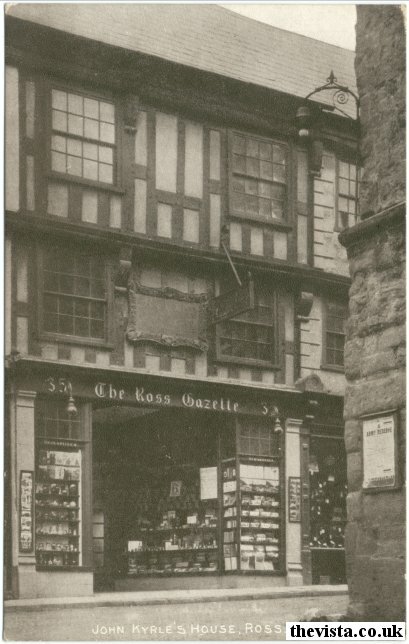 The Ross Gazette office started out at 40 High Street, which was originally the home of the "Ross and Archenfield Gazette". 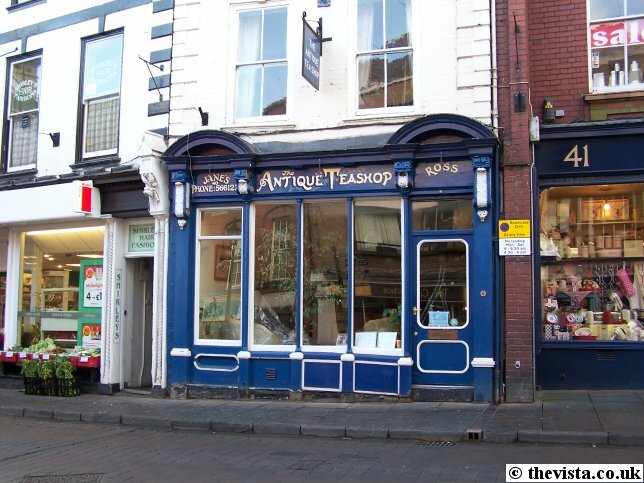 It then moved, in 1883, to the the corner of Church Street and High Street. 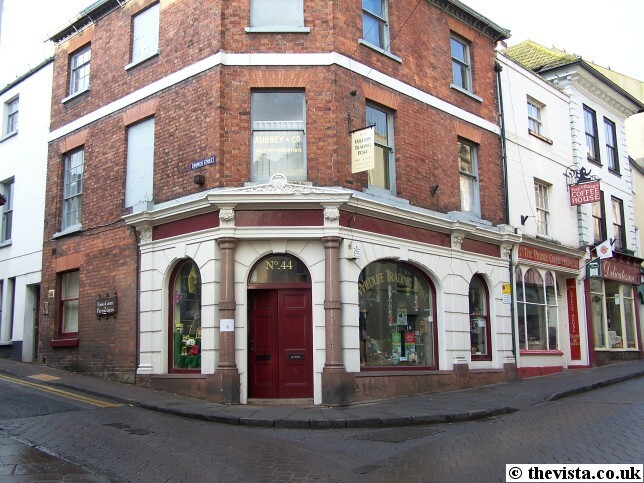 In 1915, the lease on the Church Street property was sold to the Midland Bank and so the Gazette joined with the stationary, printing, library and bookselling business of Mr. H. C. Jefferies and so the Gazette moved to Kyrle House where Mr. Jefferies had had his offices. 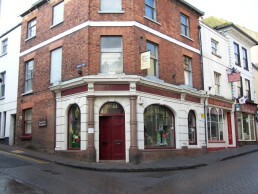 The frontage seen in the photo on the left is the one that was put there when the Gazette office moved there. 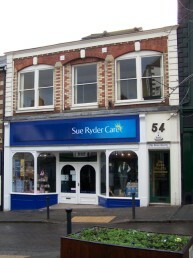 The Gazette made some quite major changes to both the inside of the building and the shop front to accommodate their specific needs. Here we see an old postcard view (published by Photochrom) of the Ross Gazette office from the early part of the 20th century. 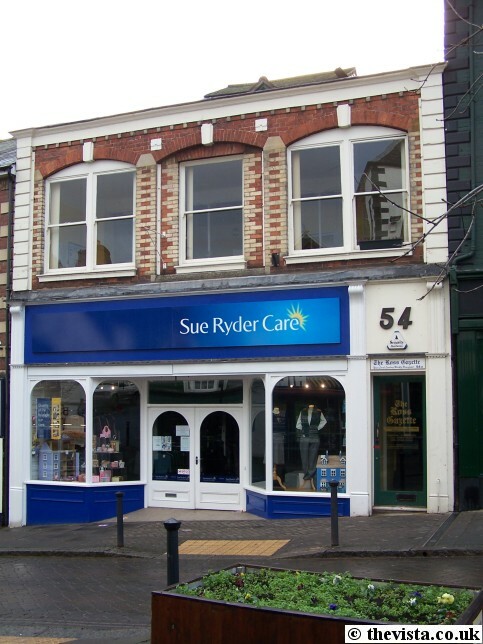 The use of this site continued until around 2003 when the Ross Gazette ceased being completely independent and became part of the group of papers owned by Tindle Newspapers Ltd [ more info] and it's offices then moved to 54A Broad Street where they remain today. From the 6th April 2006, the Ross Gazette will follow the current trend and change its format from its current broad sheet layout into the smaller tabloid size which is becoming more and more popular at present. This change was started by The Independent in 2003 when they started printing both formats until May 2004 when it ceased its broad sheet print runs and the Times followed this but readers were very unimpressed, but they switched to tabloid size in November 2004. Since then many other papers have followed suit and reduced their size, although the Guardian switched to the "Berliner" or "midi" format as seen in some other European countries on 12 September 2005. The "midi" format is slightly larger than the traditional tabloid. The main justification given for this shift is that commuters apparently prefer papers which they can hold easily on public transport, although it seems they just hope that other "non-commuter" readers will find the smaller formats more convenient, although, most other papers have found that their readers have generally approved of the change. 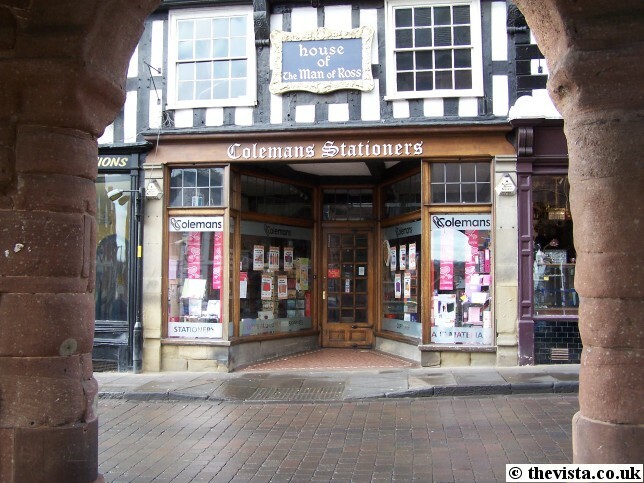 During the 1970's & 1980's, the Gazette office was where Colemans is now. The Ross Gazette was published on a Thursday but was printed on the Wednesday before. This meant that the Gazette Office would open at 3:40pm on a Wednesday (which used to be the midweek half day) to allow people to buy the first copies of the Thursday edition. The Ross Gazette was the main source of news about the area and it was a great dishonour for locals to be caught not having read the Gazette by the Thurday morning. Ms Gabb, who lived in the Church Street Alms Houses [I believe] was always the first in the queue on the Wednesday waiting for the paper to come on sale.